The Intergovernmental Panel on Climate Change (IPCC) Special Report on 1.5° C Global Warming calls on countries to take on greater responsibilities to limit temperature increase. What does that mean for Thailand? With the adoption of the Paris Agreement in December 2015 many hopes rest on the world’s countries and their national climate action plans. The past two years have seen roadmaps laid out to lower emissions and improve resilience to climate change impacts and keep the increase in the global average temperature below 2°C above pre-industrial levels while aiming for the 1.5°C threshold to significantly reduce the risks and impacts of climate change. However, the latest IPCC report reveals some hard to swallow facts that these national pledges are not enough. 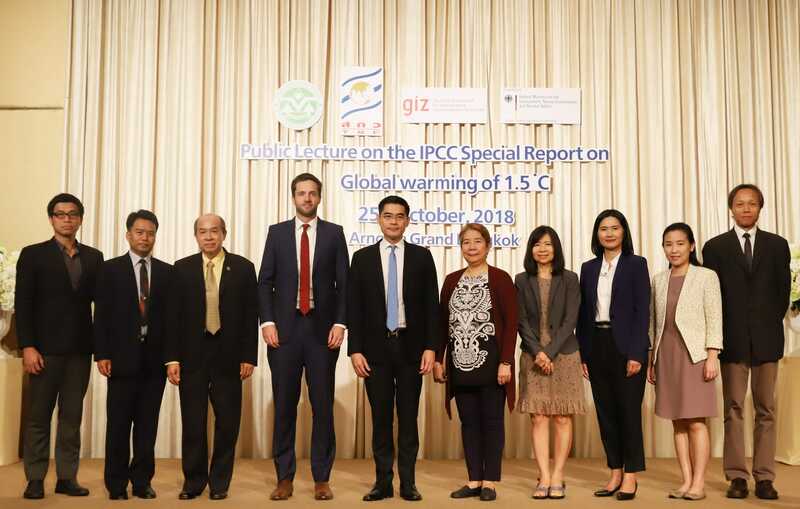 On 25 October 2018, the Office of Natural Resources and Environmental Policy and Planning (ONEP), Thailand’s focal point for climate change issues, Thailand Research Fund (TRF), together with GIZ, organised a “Public Lecture on the IPCC Special Report on 1.5 Degrees Celsius on Global Warming”. 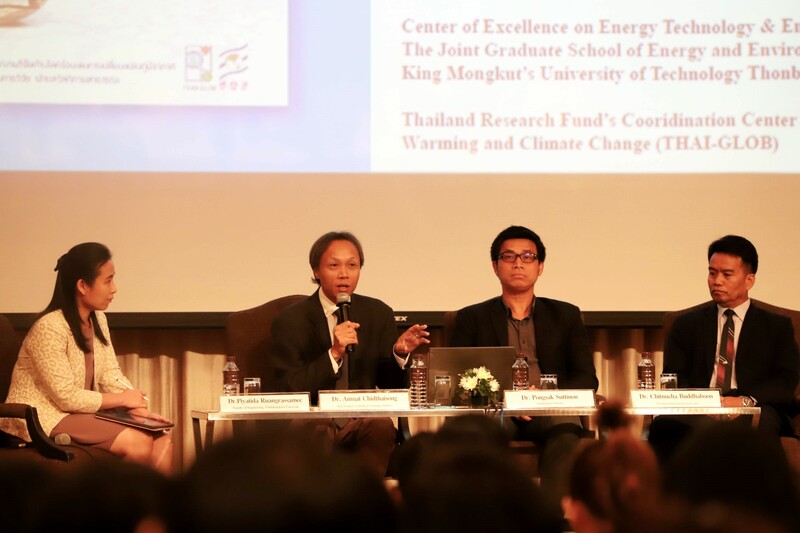 The event provided the opportunity to discuss the report findings with one of the lead authors, and possible implications for Thailand. 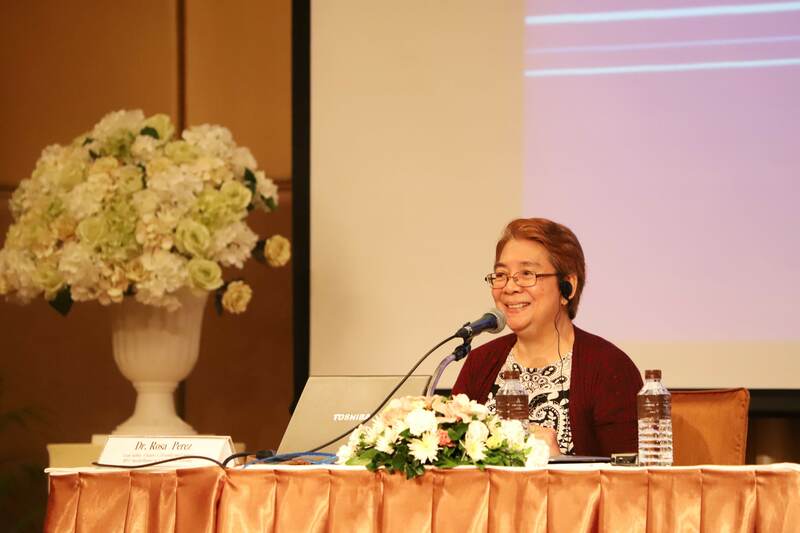 Dr. Rosa T. Perez, one of the co-lead authors from the Philippines, presented key messages of the report. Research Fellow at the Manila Observatory, and Member of the National Panel of Technical Experts for the Climate Change Commission, she was among the 91 experts from 40 countries who contributed in the landmark report. Dr. Perez said national pledges are not enough to limit global warming to 1.5°C. “Pathways limiting global warming to 1.5°C with no or limited overshoot would require rapid and far-reaching transitions in energy, land, urban and infrastructure (including transport and buildings), and industrial systems (high confidence). These systems transitions are unprecedented in terms of scale, but not necessarily in terms of speed, and imply deep emissions reductions in all sectors, a wide portfolio of mitigation options and a significant upscaling of investments in those options (medium confidence)”. The United Nations Framework Convention on Climate Change (UNFCCC) invited the IPCC to prepare this Special Report as part of the Paris Agreement 2015. The findings will be used for the review of the National Determined Contributions (NDCs), which are national commitments on adaptation and mitigation, in Katowice, Poland, at the Climate Change Conference in December this year. Dr. Perez concluded by saying it is up to the countries to find the way-forward that is not detrimental to their economic development but contributing to the global efforts under the Paris Agreement. There are ways that can be done. The video recording is also available here. View Key Messages: IPCC Special Report, click here. GIZ is working closely with ONEP in modernizing climate policy in priority sectors, developing strategies to embed climate policies, and building the capacity among the relevant ministries and their central agencies. On behalf of the German Federal Ministry for the Environment, Nature Conservation and Nuclear Safety (BMU), and through the Thai-German Climate Programme (2018-2021), part of the support includes national policy development, sub-national implementation, advice on MRV, financing, and international cooperation.